The Renal Electrolyte Fellowship is a full-time two-year ACGME-accredited program with the first year dedicated to clinical training, and the second year tailored to each individual fellow’s future career. The Renal Electrolyte Fellowship is a full-time two-year ACGME-accredited program with the first year dedicated to clinical training, and a second year tailored to each individual fellow’s future career. 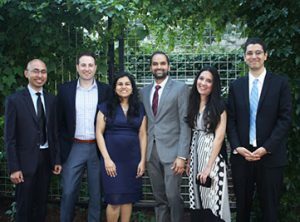 The Transplant Nephrology Fellowship is a full-time one year program accredited by the American Society of Transplantation.